• Our designs are permanently bound to the wood using a heated treatment process, making my frame highly durable. 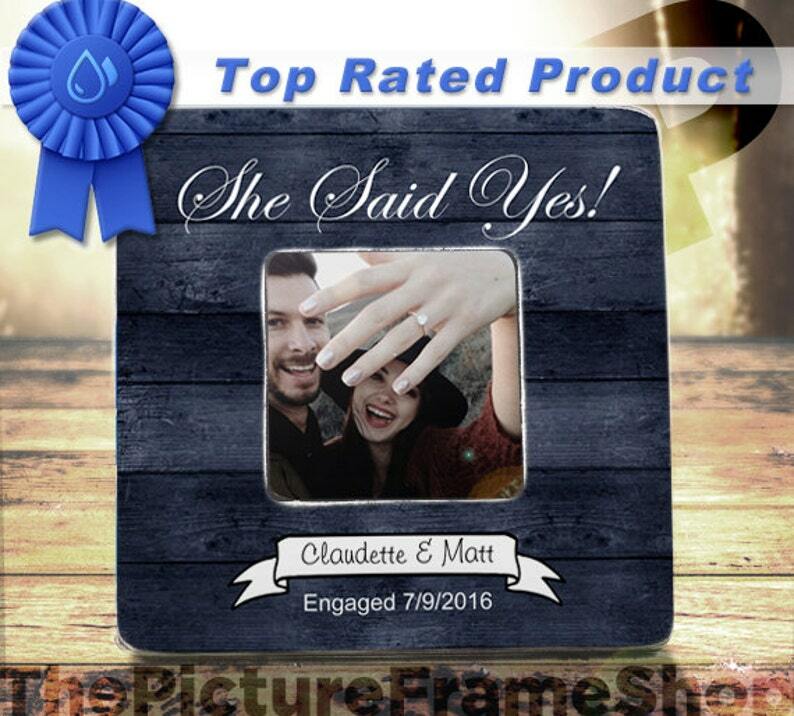 I ordered this frame for my son and his new fiancé. It turned out just perfect and is the perfect way to display their special moment. Thanks for making it as perfect as it was described. Frame came in perfectly! Love the look of this frame and the style. It matches my house perfectly. It is the perfect size and everything came out just the way I wanted. Would definitely recommend this shop!! Buy a frame for yourself or a friend, makes a great gift.